As a mother of a 2 year old I can confidently say Parenting is one of the toughest job I have experienced in my life. The journey so far has been a roller coastar ride where there has been a mix of exquisite and gratifying moments. Obviously there were many unforgettable memories with my daughter that I am going to cherish for a long time, but she has also tested my patience level on a consistent basis. Numerous parenting books are available in the market which guides us on how to deal with toddlers and walk on the path of being a good parent. But every child is unique and no book can be an exact replica matching our child's personality style. In the process of justifying ourselves as a good parent, we tend to make few mistakes which may affect our children in the long term. As per a popular parenting philosophy: Prepare your child for the road and not the road for your child. 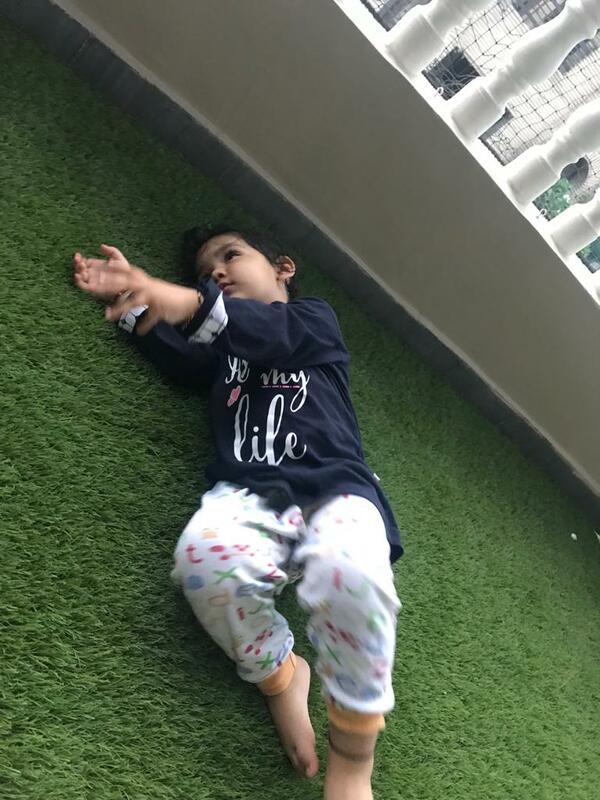 Parents usually cave in when toddlers show tantrums: We have often seen and this has happened with me as well where the child starts crying or lie down on the floor when his/her wishes are not fulfilled and parents usually choose the easiest way to stop them by fulfilling their wishes. Well its not wrong in fulfilling their demands, but that does not mean their every demand should be met. Not only parents are the culprits here, we have seen grandparents, uncle, aunt too have contributed to this cause. A child should be made aware of the word No and some discipline should be inculcated to encourage self-control within them. 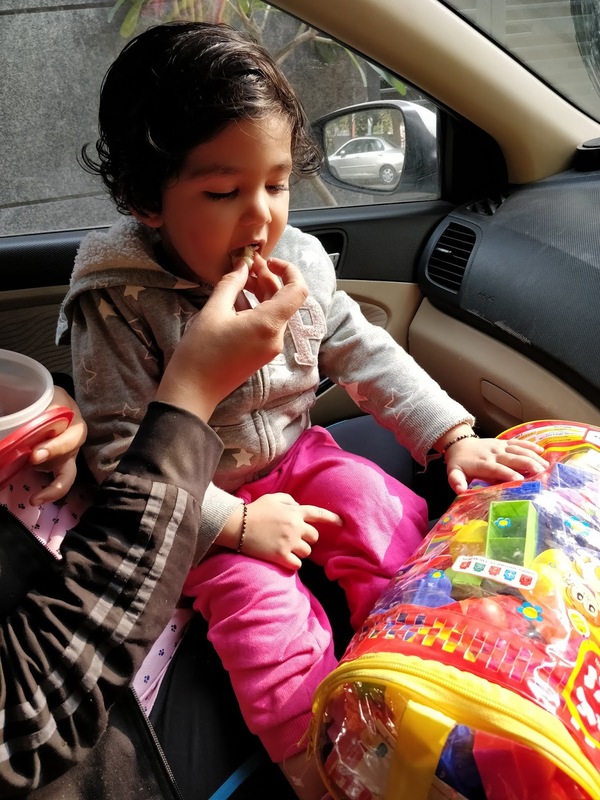 Consistently using Bribes to get things done: Another common mistake that has been followed from ages is to offer favours to toddlers in exchange to make them behave in a certain way. For instance "if you finish your milk, you will be allowed to watch television". I have used this technique with my daughter few times so that she eats her food, but now i have stopped it. Encouraging such practices will only groom the child in such a way where they may start to expect a reward for everything they do. Parents tend to get Impatient: When my daughter completed 1 year, she used to crawl only whereas some children of her age had already started walking. When she reached 1.5 years she used to say single words while some were talking much better than hers. We as parents get worried very quickly when our child is lagging behind in certain areas and may even consult a doctor so that they match with other kids. We have already placed some expectations on our child and get disappointed when they are not able to meet them. Parents need to understand that every child has their own pace of development and rather than pushing them, we should give them ample time to develop core skills. Being Inconsistent in setting Routine: I feel toddlers don't enjoy when there routine is frequently changed. But due to our work schedule or other commitments, we tend to change their routine. This maybe in the form of change in bed routine or irregular meals which leads to crankiness and irritation within toddlers. Try to create a consistent routine which works for both parents and their child. Offering Helping Hand Everytime: Let me explain this with the help of an example. My daughter tries to climb stairs on her own to reach terrace. Rather than waiting for her to complete, my husband picks up her in his arms and quickly takes her there. Similarly, once she was trying to get her toy which was far from her reach. Instead of making her try, we quickly gave her the toy. This temptation to help on every occasion may hamper the self-esteem and patience of the child. The child will become more dependent on you. Sometimes my daughter says "Aapi Aapi" (meaning on her own) and I totally support her to do things herself. This will promote self reliance and she will not get frustrated when unable to do anything. Forget to Behave Properly in front of Toddlers: There is a popular phrase that Action Speak Louder than Words. Toddlers observing power is at peak till 5 years and their behaviour is moulded by our actions to a certain extent. How we behave with others, how we display our emotions, how we like to do our things, etc everything is noticed and sometimes imitated by toddlers. Parents sometimes forget this fact, and thus, we need to be very careful with the choice of action and words in front of our kids. Making False Threats: Another common mistake followed in almost every household is to scare kids with false threats. For instance, earlier my daughter was afraid of going to a doctor. The fear of an injection used to numb her mind and she easily followed what we instructed her to do. But lately she realized that we were only making false claims and she started ignoring it. Consistently making false claims may reduce our credibility and kids may stop believing to whatever we say. Regularly Using Electronic Gadgets in front of Kids: My daughter is attracted to phone and enjoys watching nursery rhymes. But how did she know anything about the phone and rhymes. Its because I frequently use my phone in front of her. I have seen kids not having food unless the parents play their favourite video on the phone. To reduce their temptation to ask for phone, we need to first stop ourselves to use these devices in front of them. We can also try to distract them by making them do other activities such as painting or drawing. (Check my post on How to keep Toddlers away from Gadgets https://www.mysecondinnings.in/2018/08/keep-toddlers-away-gadgets.html). A child always want attention of her parents and parents should always take out time to play with them. Criticising and Making Comparisons: Trust me comparison and criticism can have negative impact on your kid. Remember those days when we did not get good marks and our parents compared us to some known person whose marks were better. I really did not like being compared to anybody and neither do toddlers. If you constantly remind them of someone and criticise for not matching them, there is a direct impact on the kid's confidence and self-esteem. These were some of the common mistakes that parents commit and I am sure it is not an easy task to rectify all of them. Sometimes even I have struggled to avoid many of them. We all love our kids and do not want them to fail. But they will not be able to rise unless they fall and that success will taste much sweeter. There are many ways to love a child and every parent wants them to be happy, but parents should not forget that sometimes we have to endure short term pain to extract long term results from our child.